Most people ask this question “What are the Best Recording Headphones?” One reason that confuses the mind is the thousands of options lying behind. Deciding the king of this throne is indeed not that easy. It always requires a lot of consideration and deep digging investigation. Good news! A help to find the best record headphones is now within your reach. In this article, you will learn what the most popular and most used headphones are widely-spread in the world nowadays and how you can get them. 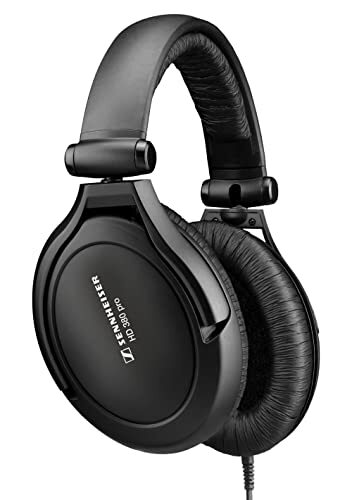 + FREQUENCY RESPONSE: The best frequency response of good headphones ranging from 20-20,000Hz, so if you’re planning to get the perfect pair of gear choose the one that sticks to this range. However, some headphones extend the range at both ends to provide deeper responses. + SOUND STAGING AND IMAGING: Sound staging and imaging represent the ability of headphones to make precise sonic stage and image right just within your mind. If a headphone distracts you a lot due to bad performance then change that one. The good imaging and sound staging headphones make a great impression. + IMPEDANCE: Impedance signifies the amount of power needed to drive a pair of headphones in the right way. Headphones with low-impedance require less power to drive, it can easily be used with devices that have weaker amp. On the other hand, too much amplification is subjected to blow-outs. + DRIVERS: Drivers are used to converting the electrical signal fed of the headphones into an audible sound signal perceived by the human ear. Drives can be the most common moving coil, balanced armature, planar magnetic and other kinds. There are many different drivers of headphones, therefore, it is best to audit headphones first before buying. In order to get the right headphones for the right users, there should be a well-detailed checklist. A checklist can help you find the best one with ease and it can help you stick to your plan. Thus, your mind will become focus on something you really want no matter what. >>> CLOSE AND OPEN BACK CONSIDERATIONS: Always remember that if you consider getting over-the-ear headphones because it is the most common today, this kind falls into two categories: the open-back and the close-back. The two has big differences so choose well. >>> SIZE: Of course, don’t forget to consider the size because not all headphones are suitable for you. If you just buy anything, you will never get the kind of comfort you want. >>> CORD STYLE: Whether you want a straight or coiled headphone cable, make sure that the kind you want does not bothers you. Coiled offers you flexibility while straight one stays out of the way. >>> SOUND LEAK: Always check the headphone before buying because when the sound leaks it can give you problems on recording and it can annoy the people around you as well. >>> PRICE: For whatever types you want, make sure you can afford it. No one can deny the fact that if you are being surrounded by thousands of choices around, you will surely get confuse. When it comes to the headphones, choosing the best should never be that hard. So, take your time while considering the best products below together with their valuable features and prompt customer reviews. Closed-back design for excellent noise cancellation capability. This design makes them a perfect choice for recording and amazing for accurate monitoring during recording. All of these headphones are made of a high-quality and durable material for lightweight structure and long lasting performance. These headphones are featured with ultra-soft ear pads and headbands for incredible comfort. All these headphones are also good studio headphones due to their soundstage and extended warm bass. They produce crystal clear sound and are extraordinary in every sound level. The parts of these headphones are detachable and wires are made of high-quality and this helps these headphones to have a long life. Audio Technica ATH-M50x is a professional studio monitor headphone that stands as the most critically acclaimed model in the M-series. This kind of headphone has been praised by top audio professionals as well as pro audio reviewers for decades due to its coveted sonic signature with added feature of detachable cables, large aperture drivers, sound isolating earcups and robust construction. With close-back design, this is a perfect gear that can be used greatly for recording purposes. The audio technical ATH-M50x is the modified version of the highly praised ATH-M50, which was the first choice of many audio professionals for decades. Aside from featuring quality sound, noise isolation and durable ergonomics, this headphone also features 90-degree swivelling ear-cups for one-ear monitoring and high-quality earpads and headbands for better comfort and durability. This headphone has an exceptional clarity throughout a broad range of frequency and also provides accurate bass response. Most of the buyers are happy with the sound quality, noise isolation capability and the build quality of this product. The overall performance of this gear is highly appreciated by top audio engineers and cult followers. 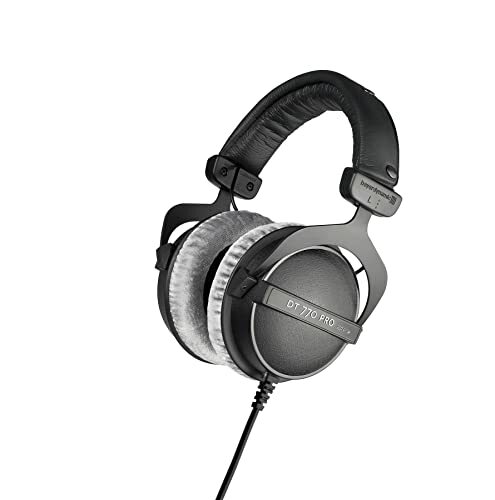 Beyerdynamic DT770 Pro is the world’s famous headphone delivering unmatched quality in sound reproduction at a very budget-friendly price. Whether you need headphones to be used in tracking, mixing, gaming or any critical listening, you can trust Beyerdynamic DT770 Pro every time. This gear is a closed-back dynamic studio headphone type with 80 ohms nominal impedance but in lower resistance for general purpose and mobile applications. It has soft, adjustable and robust steel headband for comfortable use. With single sided cable, you can use this closed-back dynamic headphone in a hassle-free way. This headphone is able to provide a perfectly neutral listening environment. With exceptional isolation and flat frequency response, audio professionals around the world are using the product more than the other headphone kinds today. Most customers love the professionalism it provides with comfort that no one can match. 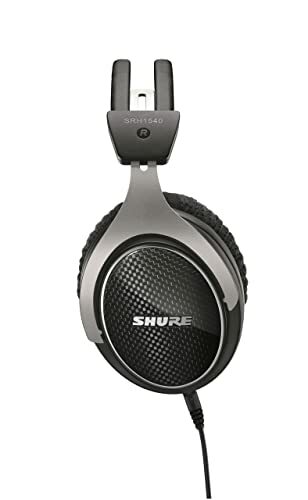 As known as one of the best headphone manufacturers, Shure did not disappoint us with their premium quality closed-back headphone, the SRH1540. This headphone provides expansive soundstage for clear sound and it has extended and accurate bass as well. The lightweight construction of this product is made of aluminium alloy and the headbands are padded for comfortable and prolonged headphone use. Oxygen-free copper cables, dual exit cable system, Shure’s legendary durability and comfort makes this headphone a loving stuff among many professionals. With closed-back design, you are rest assured that exceptional comfort over the ears with reduced background noise can be achieved when using the headphone. It uses 40 mm neodymium drivers that deliver superior acoustic performance to give amazingly great soundstage. When it comes to the weight of the gear, it has lightweight construction for it only use aircraft-grade aluminum alloy yoke and carbon fiber cap so you can carry this stuff anywhere you want. For legitimate recording purposes, the Sennheiser HD380 Pro closed-back designed headphones are very efficient. The lightweight construction with soft ear pads and headbands allows you to use this gear for an extended amount of time. The parts of this product are easily replaceable in case of any wear and tear making it great in all kinds of demanding use. The Sennheiser HD380 Pro is a closed-back, circumaural design that gives surprising resistance to defend against ambient noise. It has a super lightweight construction, easily replaceable parts and exceptional comfort for extended listening. This headphone has slimline carrying case and pads that are made of ultra-soft cushion for exceptional soothe even for long listening hours. With the increased frequency response, you can have better sound reproduction. The reviews of Sennheiser HD380 Pro online shows how widely popular this headphone is. Some good reasons are because of its sound quality and bass response. The users praised the noise cancellation capability of this headphone and it is also jubilant with the build quality and comfort. 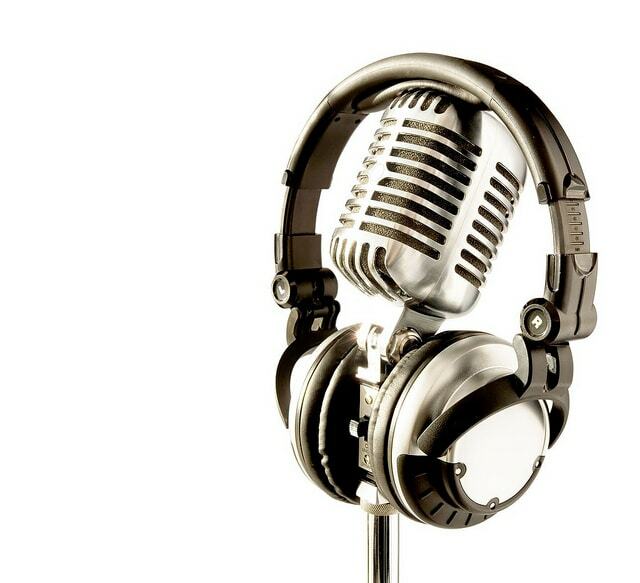 Shure never make their customers disappointed despite of many competitors has said. The Shure SRH840 is a professional monitoring headphone known for its legendary performance in any field of audio listening. The headphone is especially designed for professional audio engineers and musicians whose goal is to make the best out of music. These headphones are optimized for studio recording and critical listening while giving full comfort and durability. Shure again brought their legendary build-quality with unmatched comfort for the listeners. 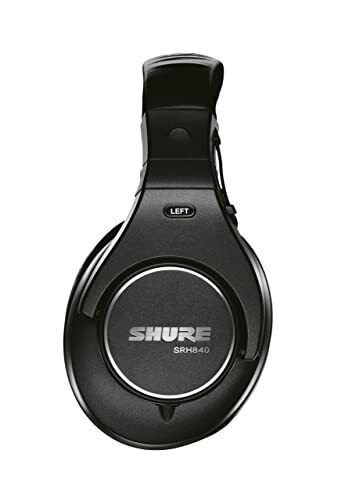 With the closed-back design, this headphone is capable of producing superior noise cancellation and can be used in very noisy places with ease. With precisely tailored frequency response, ergonomic and very comfortable fit, you should stop looking for anything else. It also has adjustable, padded and moisture-wicking headband so you can still use the gear for more extended hours. The memory foam of the earpads also help sound isolation increased and add comfort. This headphone is packed with pretty cool carrying bags to so protect the gear and carry the stuff with ease wherever you want. It also comes with 9.8-foot coiled detachable cable that provides extra flexibility making it very easy to store. All buyers, both online and offline have nothing to say about the goodness of Shure SRH840 headphones. Most customers were impressed with the gear. In fact, about 80% of every 200 customers give 5-star ratings for Shure SRH840. Ratings say it all. Regardless of which recording headphone you chose, there are some basic manual and maintenance guides to be followed for better use of the headphones. First things first, decide which headphone is perfect for you. Choose the closed-back headphones for recording purpose. Remember to use a respective device with your headphones. Only a good pair of headphones will not be able to give the desired result. Double check the connection of the headphones. Choose a headphone that has soft cushion and headbands for comfortable use. Handle the cables/cords with care as these are prone to wear and tear. Use the headphones in a recommended sound range depending upon the impedance of the headphone. Using a low ohm headphone with a high volume output device may damage the speakers. You need to consider different types of headphones because there are different types of people. They are like shoes: it does not fit to everyone. Different headphones are designed for different users and of course, different purposes. Choosing the right headphones does not need you to be an expert audio enthusiast, having some knowledge about their different kinds is enough. 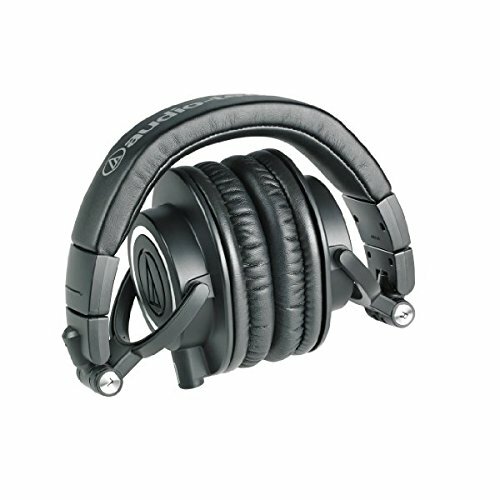 + ON-EAR HEADPHONES: On-ear headphones or ear-pad headphones have pads that rest and seal on the outer part of the ears. They are also called as “supra-aural headphones”. The pads can sometimes be a donut-shaped or a flat pad that’s covering a donut shaped foam with holes. It can also be just foam pads. Generally, this type is less expensive, smaller and lighter. It is easy to carry and convenient for transportation as well. + OVER-EAR HEADPHONES: The over-ear headphones or the supra-Concha headphones have pads that rest on the inner bowl of the ears. It is also called around-the-ear headphones with feature ear cups that surround the entire ears. The ear cups or the cushions are often made of foam and covered by different materials such as leather. This headphone is meant to block out ambient noise. However, some people tackle about heaviness issue. + IN-EAR HEADPHONES: In-ear or insert headphones commonly have a small tip that seals in the ear canal. Many Smartphones include this type of headphone today as a standard offering inside the box so it is the kind that stands in the peak of popularity. This type offers an excellent price and performance ratio. It provides the highest amount of isolation and this kind of headphone is very good at providing quality listening. + EAR-BUDS OR EARPHONES: Ear-buds also called intra-concha earphones that rest in the inner bowls of the ears. Most earphones are considered open but there are some earphones that sound horrible to use and more likely to cause damage. Earphones are more common to use for exercise, sports, and other active applications. + WIRELESS HEADPHONES: Wireless headphones or earphones can be categorized as infrared headphones, radio-frequency headphones or Bluetooth headphones. Wireless headphones are great for outdoor use but they are also great for indoor use. This kind of headphones offers better sound fidelity and allows you to take the pair everywhere. The absence of wire makes people carry the gear anywhere with ease. Above listed headphones are the top 5 best recording headphones and all of them are great studio headphones. All of these headphones are highly recommended as well to anyone who is looking for a headphone that can be used in high-quality recording studios. So, what are the best recording headphones? A lot! Here, you can have fun making a good choice.